The historiography of the Enlightenment over the last fifty years has focused heavily on the influence of the natural philosophy of Bacon and Newton and the philosophy of Locke on the French philosophes. Now, one text that has been repeatedly cited as early evidence of the important impact of Newton is Buffon’s Translator’s Preface to his 1735 French translation of Stephen Hales’ Vegetable Staticks of 1727. But when we turn to the text itself it’s pretty clear that Newton is merely an exemplar of a broader phenomenon. The novelty of the discoveries and the majority the ideas [of Hales’ book] will no doubt surprise natural philosophers. I know nothing better of its kind, and the genre itself is excellent, for it is only experiment and observation. … works founded on experiment, merit more than others. I can even say that in natural philosophy, one ought to search out experiments as much as one ought to be afraid of systems. I admit that there is nothing so good as to establish first a single principle, and then to explain the universe, and I am convinced that if one were so happy to divine it, all the pain that it takes to make experiments would be unnecessary. But sensible people see rather how much this idea is vain and chimerical: the system of nature probably depends upon several principles, principles that are unknown to us and their combination even less so. … It is by choice experiments, reasoned and followed, that one forces nature to reveal its secret. All the other methods have never succeeded. … Collections of experiments and observations are therefore the only books that can augment our understanding. Being a natural philosopher is not a matter of knowing what follows from this or that hypothesis, in supposing, for example, a subtle matter, vortices, an attractive force, etc. It is to know well that by which it comes and to understand that which is presented to our eyes. The understanding of effects will conduct us insensibly to that of their causes and will not trip us up into the absurdities that seem to characterize all systems. Notice the underlined words here: ‘experiment and observation’, ‘systems’, ‘vain and chimerical’, ‘hypothesis’. This passage bears all the hallmarks of an expression of the central doctrines of the experimental philosophy. This is reinforced by the gallery of greats that is listed: Bacon, Galileo, Boyle, Stahl. The focus is not on individuals such as Newton at all, nor is it on empiricism. It is on the méthode of the experimental philosophy. This is what Voltaire had referred to just one year earlier in 1734 in his letter ‘On the Lord Bacon’ in his Letters concerning the English Nation, where he claimed that Bacon ‘is the Father of experimental philosophy’ and that ‘no one before the Lord Bacon was acquainted with experimental Philosophy’. It is the experimental philosophy, and not Bacon or Newton, that Buffon is praising and advocating. The experimental philosophy, as discussed by Buffon, Voltaire, d’Alembert and Diderot, needs to become a central notion in our historiography of the Enlightenment. A while ago I argued that the queries in Newton’s early optical papers are not hypotheses. Rather, they are empirical questions that may be resolved by experiment. In Newton’s Opticks, however, his queries become increasingly speculative – especially the famous ‘Query 31’. What should we make of this? Did Newton abandon his early distinction between hypotheses and queries? He tells us that hypotheses have a role in this procedure. They may be useful for: (a) suggesting further experiments, as the first step toward specifying queries; and (b) ‘illustrating’ the theory to assist understanding. The queries in Newton’s Opticks have been much talked about, and often Newton has been accused of slipping hypotheses into his work under the guise of the more-respectable query. To examine this claim, I looked at the draft manuscripts* of Newton’s Opticks; in particular, “The fourth book concerning the nature of light & ye power of bodies to refract & reflect it” (Add. 3970, 337-8). Prop. 1. The refracting power of bodies in vacuo is proportional to their specific gravities. Prop. 2. The refracting power of two contiguous bodies is the difference of their refracting powers in vacuo. As all the great motions in the world depend upon a certain kind of force (wch in this earth we call gravity) whereby great bodies attract one another at great distances: so all the little motions in ye world depend upon certain kinds of forces whereby minute bodies attract or dispell one another at little distances. I. Bernard Cohen describes this as “a ‘whale’ of an hypothesis” – and he’s right! When Newton started writing out this statement, he intended for it to be ‘Proposition 18’. But at some point, he has scratched out ‘Prop 18’, and re-branded it as ‘Hypoth 2’. There is no real semantic difference between a proposition and a hypothesis, but, for Newton, there is an epistemic difference. Propositions are things that he is able to assert as true. Hypotheses are things that he is unable to assert, because he does not have the evidence. Newton clearly hoped to assert Proposition 18. But as he started to explicate it, he must have realised that he couldn’t prove it. Thus, he re-labelled it as a hypothesis. Here, there is an obvious semantic shift between hypothesis and query: the query is stated as a question. Some scholars have argued that this is the only difference between hypotheses and queries: in the Opticks, queries are simply Newton’s way of getting around his self-imposed ban on hypotheses. I claim that there is more to the shift than this. Newton is using the semantic structure of the query to explore a possible future research program. The epistemic difference between the query and the hypothesis is similar to the epistemic difference between Popper’s falsifiable and unfalsifiable theories. The former is testable-in-principle, whereas the latter is not; and testability is a necessary condition of something becoming well-tested. While Newton’s [early] method of queries is experimental, it does not appear to be strictly Baconian. For the Baconian-experimental philosopher, queries serve “to provoke and stimulate further inquiry”. Thus, for the Baconian-experimental philosopher, queries are part of the process of discovery. However, for Newton, queries serve to test the theory and to answer criticisms. Thus, they are part of the process of justification. The queries in Newton’s later work seem closer to the Baconian tradition that inspired him. That the themes of Hypothesis 2 and Query 31 appear in Rule 3 of Principia, raises questions about the status of Newton’s ‘Rules of Philosophising’ and how we should interpret the re-branding of ‘hypotheses’ as ‘rules’ in later editions of Principia. I’d love to hear what you think! * Recently, Cambridge University put Newton’s papers online, making it possible for those of us who live ‘down under’ to examine copies of many of Newton’s manuscripts! I was recently reading Peter Ackroyd’s short biography of Isaac Newton, when I was startled to come across the following sentence: “[The Royal Society] excluded all questions of politics and religion… Their motto became, Nullius in verba, ‘Nothing in words’, or nothing on authority.” As we shall see, “Nothing on authority” is a good rendering of the sense of the motto. But even with my modest knowledge of Latin I could see that Nullius in verba could not possibly be translated as “Nothing in words.” The latter phrase in Latin would be Nihil in verbis, but that was not the phrase chosen by the founders of the Royal Society. A quick Web sea rch for the Latin phrase will reveal how common a mistranslation this is. You may not be surprised to find such a mistake in popular works. You may be even less surprised to find it on the Web, where (to borrow the words of Tacitus) “all things hideous and shameful from every part of the world find their home and become popular.” But Gould’s criticism was directed at no less a figure than the distinguished philosopher of science, Karl Popper. We all may at times be seduced by the tempting ease of introducing new words. But then, we should always respect the forbidding difficulties facing those who toil to establish new facts. As the founders of the Royal Society of London put it in 1663: Nullius in verba — there is nothing in words. It is facts we seek. Following Gould’s letter, the issue was discussed by Clive Sutton in the British Journal for the History of Science. Sutton points out that the members of the Royal Society were opposed to the idea that verbal argumentation alone could lead to new knowledge. So the common mistranslation of their motto does, perhaps, capture one aspect of their thinking. But it remains a mistranslation, which fails to express what the motto was intended to convey. 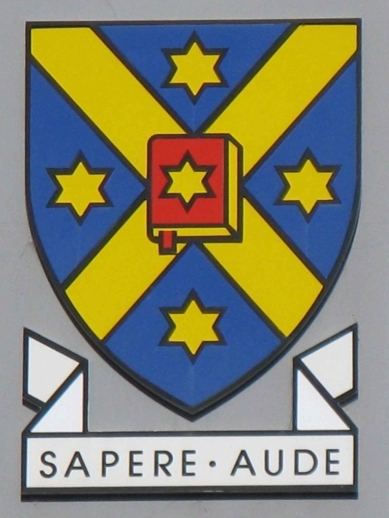 The Latin motto has its origins in a work by the Roman poet Horace. In the first of his Epistles, Horace writes that he is setting aside mere literary concerns in order to turn to philosophy. “In case you ask me who’s my master, what roof protects me,” he writes, “I’m not bound to swear by anyone’s precepts [nullius addictus iurare in verba magistri], I’m carried, a guest, wherever the storm-wind blows me.” It is this passage that explains the slightly odd phrase in verba, which makes more sense as the indirect object of iurare than when taken out of context. But the fellows of the Royal Society could read Latin almost as easily as English. They could assume that their contemporaries would recognize the allusion and read the motto as it was intended. But how was it intended? In its original context, Horace is presumably not saying that he will take no notice of what the various schools of philosophy teach. What he is saying is that he is not going to consider himself bound to any one of them. He is free to pick and choose whatever opinion he judges best. This lends some support to a thesis recently put forward by Thomas Ahnert, that the motto of the Royal Society reflected its “anti-sectarian aims … rather than its concern with the definition of reliable testimony”. On this view, the motto supports an eclectic attitude, as opposed to dogmatic adherence to a particular school of natural philosophy. St Thomas, who is remembered for doubting the reports of Jesus’ resurrection and for believing only when faced with “experimental” evidence, was apparently the patron saint of the Royal Society. There is, incidentally, a fascinating anticipation of these ideas in a remark made by William Gilbert, some sixty years before the founding of the Royal Society. In the preface to his De magnete, Gilbert asks why he should make his ideas public, given the lamentable state of contemporary natural philosophy. “Why,” he writes, “should I submit … this noble … philosophy to the judgement of men who have taken oath to follow the opinions of others [iuratis in alienorum sententias].” Here, too, there is a contrast between merely following authorities — the attitude Gilbert is condemning — and seeing for oneself. By way of contrast, Gilbert goes on to describe his intended audience as “true philosophers … who seek knowledge not only in books but in things themselves [non in libris solum sed ex rebus ipsis].” One might be tempted to read this as a contrast between words and facts, of the kind employed by Popper. But what Gilbert is criticizing are those who seek knowledge in books alone (in libris solum). (He presumably wants people to read his book.) As Shapin and Schaffer note in Leviathan and the Air Pump, words had an important role to play in early modern experimental philosophy: they were the means by which experimental results could be conveyed to those who were not among the original witnesses. If I have a book to serve as my understanding, a pastor to serve as my conscience, a physician to determine my diet for me, and so on, I need not exert myself at all. I need not think, if only I can pay: others will readily undertake the irksome work for me. But if I act in this way, I remain in a state of self-imposed tutelage, which is the very opposite of Enlightenment. I have yet to convince the university authorities to replace their “Dare to be wise!” with “Have the courage to think for yourself!” This would, however, be closer to what Kant intended. It would also be consistent with the often mistranslated motto of the Royal Society. This is the second part of Steffen Ducheyne’s presentation of his new book, “The main Business of Natural Philosophy:” Isaac Newton’s Natural-Philosophical Methodology. You can find the first part here. In the Principia (1687), Newton developed a detailed picture of how one may deduce causes from phenomena (for the technical details I refer to Chapters 2 and 3). Newton’s expression ‘deductions from phenomena’ has oftentimes been considered as a rhetorical tool by which he sought to distance himself from his opponents. However, close scrutiny shows, I believe, that Newton’s ‘deductions from phenomena’ have profound methodological significance as well. I do not, however, endorse the view that Newton’s Principia-style methodology was therefore non-hypothetical. Rather, what makes it methodologically interesting is that it encompassed procedures to minimize speculation and inductive risk in the process of theory formation. What is distinctive of Newton’s Principia-style methodology is that he established bi-conditional dependencies between causes and their effects from the laws of motion. In other words, the causes which Newton would later infer in Book III were backed-up and constrained by the laws of motion. Given these dependencies, Newton was able to present his derivations of the centripetal forces acting in our solar system as deductions and, hence, as ‘deductions from phenomena’. I want to emphasize, however, that Newton’s proceeding from phenomena to theory, i.e. his presenting of certain inferences as deductions from phenomena, taken as such is not what makes his method essentially different from hypothetico-deductivism. Rather, proceeding from phenomena to theory is the by-product of what genuinely makes Newton’s method distinctive from hypothetico-deductivism: the establishment of systematic dependencies backed-up by the laws of motion. These systematic dependencies, in other words, mediate between experimental or astronomical results and the very causes which account for these phenomena. 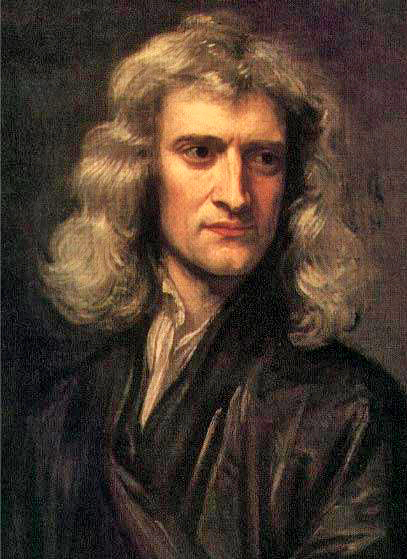 Once he had finished the Principia, Newton returned to his optical studies, which would eventually lead to the publication of the Opticks in 1704. Could he now methodize optics according to the highly sophisticated standards which he had developed in the Principia? In my view, the answer is negative. For instance, I have argued that Newton’s argument for the heterogeneity of light rests on an argument of uniformity that cannot be licensed by Newton’s second rule of philosophizing. I have also paid considerable attention to the problem of transduction which Newton encountered in his optical studies. In mechanics, the affected entities, i.e. the explananda – bodies moving along specific trajectories, and their constituent elements, namely, the particles constituting these very bodies – all have a theoretically salient property in common, namely, mass. Because gravity is proportional to mass and because the latter is additive, gravity is likewise additive. This allowed Newton to show that a body’s overall force can be decomposed into the individual forces of each of the bodies constituting that body and vice versa. In optics, by contrast, we do not know – at least not without speculating on the matter – the constituting elements of the explananda. In the Opticks Newton could not establish ‘deductions from phenomena’ because, in contrast to the physico-mechanical theory of the Principia, a mixed science describes a given phenomenon mathematically without an accompanying explanatory story. In other words, in the Opticks the inference of causes could not be constrained by a set of laws which carry information about the proximate causes involved. By way of outro and also as a teaser, I would like to conclude by devoting some words to the provisionalism that characterized Newton’s later methodological thought. Newton’s provisionalism pervades the third and especially the fourth regula philosophandi, which were added in the second (1713) and third (1726) edition of the Principia, respectively. The provisionalism which Newton envisioned did not apply to the ‘deductions from phenomena’, but rather to propositions ‘rendered general by induction’ – at least evidence from Newton’s manuscripts leads me to believe so. Based on a careful study of Newton’s manuscripts, I have also succeeded in clarifying what Newton understood by qualities which cannot be “intended and remitted” and, on the basis of this, I have concluded that the Cohen-Whitman translation of “intendi et remitti” as “increased and diminished” is incorrect. I could say much more about my book, but I hope that this will suffice to get you interested in reading it. The research team at Otago has kindly invited me to discuss some of the central ideas of my recent monograph “The main Business of Natural Philosophy”: Isaac Newton’s Natural-Philosophical Methodology. My aim in this and next week’s guest post is not to give a complete overview of my book, but rather to bring some salient features of Newton’s methodology to the fore insofar as they are relevant for the speculative-experimental distinction. Newton sought to separate hypotheses from demonstrations from within natural or experimental philosophy. This, in my view, adds an interesting dimension to the speculative-experimental distinction, for it shows how the distinction was transformed and introduced in the realm of natural philosophy. Newton’s preoccupation with methodological rigour and his distaste of hypotheses led him to explicate the conditions under which our conclusions about the physical world are to be considered as truthful. In this process, he would develop a highly sophisticated methodological position the kind of which had never been seen before. Before turning to a discussion of Newton’s methodology proper, however, I would like to say something on how I have approached Newton’s methodology. Oftentimes, Newton’s methodology has been approached as if it was a stable given that remained fixed throughout his natural-philosophical career. In my book I have argued that Newton’s methodological views developed alongside with his natural-philosophical research. In Chapter 5, moreover, I distinguish between four distinct phases in the development of Newton’s methodological thought. Furthermore, although Newton clearly favoured his Principia-style methodology, which sets out to physico-mathematically ‘deduce’ causes from their effects, and considered it as the one to be followed ideally, Newton also relied on different methodologies. For instance, in the demonstrative parts of the Opticks he made use of a mixed mathematics treatment and in its speculative parts he proposed hypotheses to be investigated further. In my monograph I have called attention to important diachronic and synchronic differences in Newton’s methodological thought. Newton’s first optical paper (1671/2) was not only a scientific debut, he also introduced a new methodological ideal on how knowledge about the empirical world is to be established. That ideal consisted in deducing causes from phenomena with demonstrative certainty. In the unedited version of his first optical paper, Newton stated the following on his theory of the heterogeneity of white light: “For what I shall tell concerning them [i.e. colours] is not a Hypothesis but most rigid consequence, not conjectured by barely inferring ’tis thus because not otherwise or because it satisfies all phænomena […] but evinced by ye mediation of experiments concluding directly & without any suspicion of doubt.” In the same period, he criticized the use of hypotheses in natural philosophy. At this point, important features of Newton’s methodological views were in place: his rejection of hypotheses, his ideal of deducing causes from phenomena, his conviction that by injecting mathematics into natural philosophy the latter could partake in the certainty of the former, his endeavour to draw conclusions from experiments, and his desire to treat of light ‘abstractly’, i.e. without making statements on the nature of light. Yet, as I argue in detail in Chapter 4, Newton’s methodological position was at that point still lacking elaboration and justification. That Newton did not provide much detail on how the heterogeneity of white light is derived from the experimentum crucis illustrates the lack of elaboration that characterized Newton’s early methodological views. In next week’s post I will summarize just how Newton’s methodological views developed from the publication of the first edition of the Principia in 1687.